Stefanie Olson, a speech-language pathologist (SLP), works as the Assistive Technology Specialist at the Little Light House, a Christian, developmental preschool for children with disabilities and LAMP Center of Excellence located in Tulsa, OK.
Stefanie received her bachelors' and master’s degrees at the University of Tulsa, and has worked primarily with individuals with significant and/or multiple disabilities for the past 19 years. She previously worked at the Oklahoma Assistive Technology Center, University of Oklahoma Health Sciences Center, as the program director of a statewide contract with the Oklahoma State Department of Education providing assistive technology evaluations, consultations and professional trainings. Stefanie has also worked as a special education teacher, clinical, school and early intervention based speech-language pathologist, contract SLP providing AAC intervention services in an adult residential facility for individuals with developmental disabilities, and as an adjunct professor at Oklahoma State University teaching their graduate level AAC class. Stefanie has experience presenting at the local, state and national level on a variety of topics related to AT and AAC. She is passionate about helping parents, teachers, and other service providers acquire the knowledge they need to best serve the children in their care. She maintains membership in the American Speech-Language Hearing Association and with the Oklahoma Medical Licensure Board of Speech-Language Pathology and Audiology. Financial: Stefanie Olson is contracted by The Center for AAC and Autism. 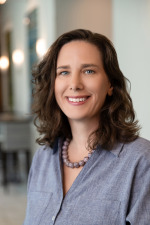 Non-Financial: Stefanie Olson is a member of the American Speech Language Hearing Association (ASHA), and with the Oklahoma Medical Licensure Board of Speech-Language Pathology and Audiology. Stefanie receives free equipment from the Center for AAC and Autism to use for her presentations.